With this Demolition "Rogue" Cassette Hub you get a high quality manufactured low flange cassette hub at a very good price-performance ratio. 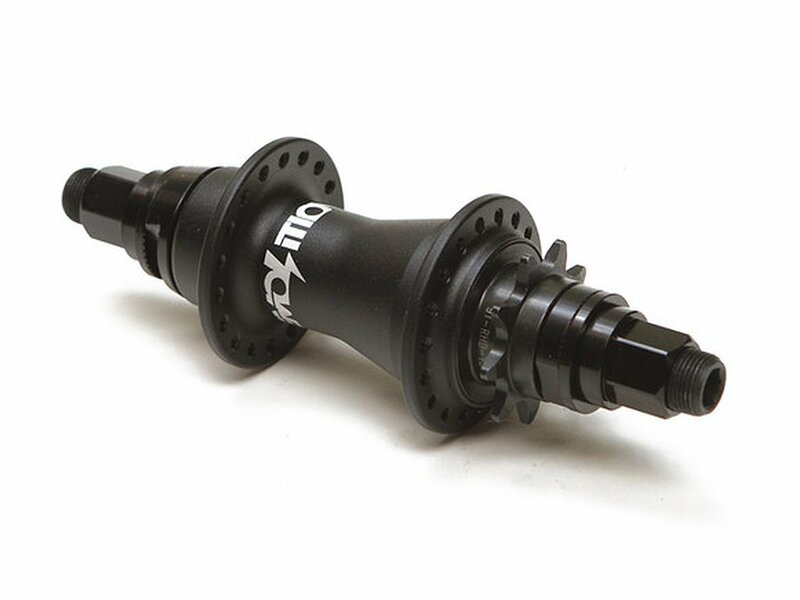 The body is made of lightweight and CNC machined 6061-T6 aluminum and the heat treated 14mm CrMo male hollow axle and high quality sealed bearings provide best function as well as stability and durability. With the separately available Demolition "Rolls / Rogue" Rear Hubguard you can protect the "Non Drive Side" of this cassette hub.